The black shape, wrapped in shadows, moved silently through the empty field toward the castle walls. Only shivering blades of grass betrayed his passing. Reaching its base, he unwound a grappling hook from around his waist and, whirling his arm in a tight circle, launched it over the parapet. Slowly but steadily, he began his climb. The shinobi of Japan, commonly known as ninjas, have captivated audiences across the centuries. One of the most fascinating features of the ninjas were their unique equipment; from close-combat blades, to versatile throwing weapons, to specialized climbing devices. Or chain and sickle, formed another famous weapon of the ninja. The wielder would whirl the chain, its end fastened with a weight, in deadly arcs, ready to wrap around the opponents’ arms, weapons, legs, or throat. Once ensnared by the chain, the ninja would haul his floundering opponent forward and finish him off with the deadly sickle attached to the chain’s opposite end. Or throwing weapons, formed an important part of the ninja’s arsenal. Sharp Knives, discs, darts, and spikes were used to distract, maim, and kill. Concealed beneath the ninja’s garb and often the cover of darkness, Shuriken could emerge in the ninja’s hands and be launched toward the enemy in an instant. 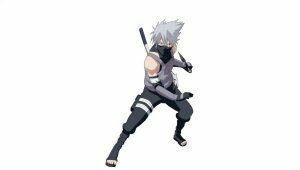 Ninjas could generate considerable force and accuracy when throwing the Shuriken with the overhand form or from the waist. Shuriken proved especially useful for escaping, when incapacitating the pursuers, rather then permanently silencing them, become the priority. A much-lauded talent of the ninja was their ability to reach their enemies no matter how many walls and castle gates stood between them and their prey. 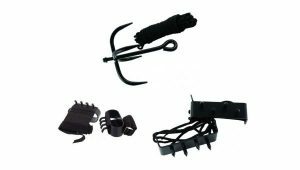 They invented several devices to overcome common defensive measures, such as grappling hooks, collapsible ladders, and hooked climbing gear fastened to hands and feet. When sliding stealthily through villages and castle interiors, the ninja needed to remain light and fast. They therefore created devices that could be easily moved around and would leave no trace of their presence. 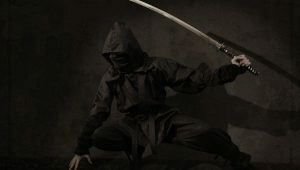 The enigmatic shadow warrior would not have built their reputation as feared assassins and spies without their equipment. From Kusarigama, to star-shaped Shuriken, to grappling hooks, the ninjas used their tools to confound their enemies and complete their mission. Knowing ninjas could lurk just beyond the torch-light kept the Samurais and guards in a constant state of apprehension. As tales of their unnatural abilities spread, perhaps some guards, hearing the soft clacking sound of a grappling hook latching onto a wall, would tremble and pretend they had only heard the wind.